The search 104B Konefal St. yielded approximately four (4) pounds of marijuana, scales, packaging material, over $33,000 in cash, and a stolen .40 caliber Glock handgun. 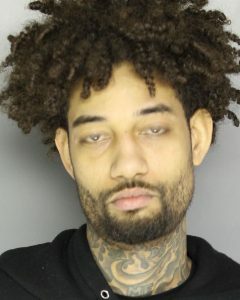 Rakim Allen was charged with Possession with Intent to Deliver, Possession of Narcotics, Receiving Stolen Property (for the stolen handgun), Criminal Conspiracy and other related offenses. Stephanie Sibounheuang was inside the residence at the time of the search and she was charged with Possession of Narcotics, Receiving Stolen Property, and Criminal Conspiracy. Both subjects were arraigned by District Judge Joseph Falcone. Bail was set at 10% of $500,000 for both individuals and they were remanded to the Bucks County Correctional Facility.